Kodachrome by Maurice Terrell for the Look magazine assignment "Los Angeles: The Art of Living Bumper-to-Bumper." June 1956. 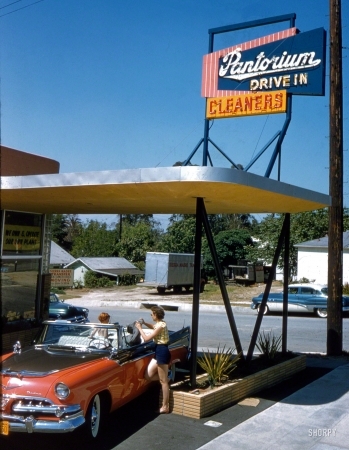 "Aspects of life in Southern California, including cars at drive-in laundry."